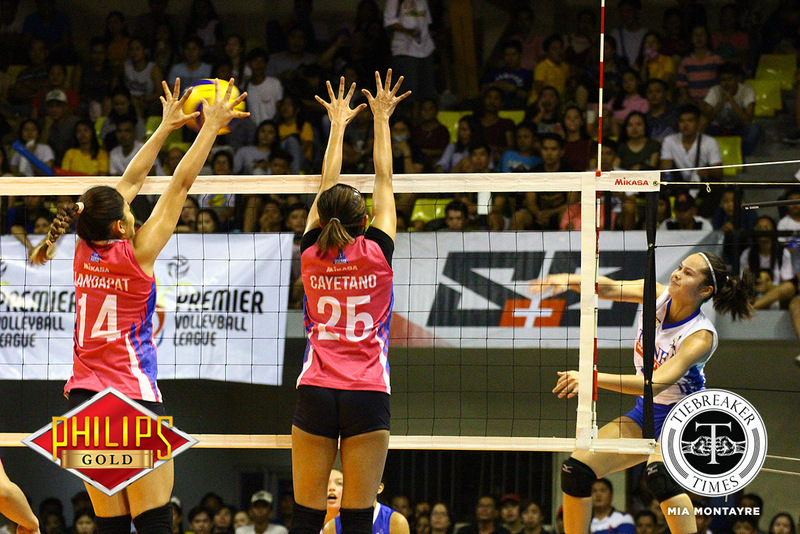 The Ateneo-Motolite Lady Eagles have been impressive so far in the Premier Volleyball League Open Conference. And a big reason for that is the immediate impact of rookie Vanie Gandler. 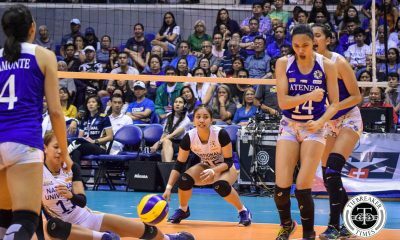 Since the beginning of the conference, the De La Salle-Zobel standout has been a fixture in Ateneo’s starting lineup. Gandler has been surprisingly productive, despite only having trained with the team for a couple of months. 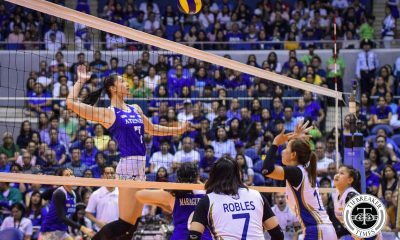 In Ateneo’s last two matches, she has averaged 11.5 points. 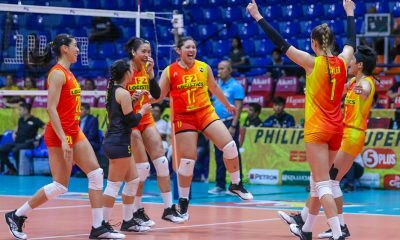 Her performance has been made more impressive by her swift transition into being an open spiker after being a middle blocker for most of her high school career. “It feels good, hard work in training pays off, I guess. 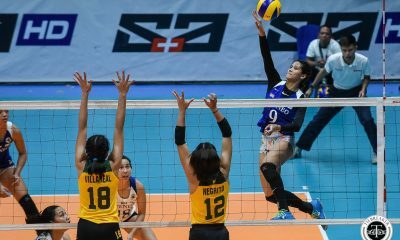 Coach O [Almadro] just always reminds us to have a good attitude,” thought the 5-foot-9 Lady Eagle. Gandler knows she needs a ton of work with service reception, however, as do the rest of the Lady Eagles. “I didn’t really receive much back in high school. Coach O would always make sure that we do the right thing in every training. He just tells us to put the ball up,” said the 18-year-old. As the only rookie getting a lot of playing time, Gandler keeps in mind all of her responsibilities and stays accountable. 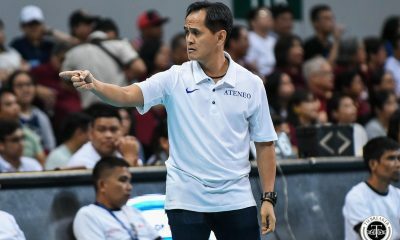 Ateneo head coach Oliver Almadro has been big on giving each Lady Eagle a role in his first year. 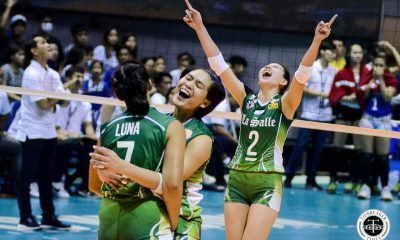 With Gandler and his other rookies, Almadro emphasizes the need to go beyond their perceived limits. “They have to understand that sometimes they have to do more. Hindi ibig-sabihin na ito ang kaya mo, hanggang dito ka lang. 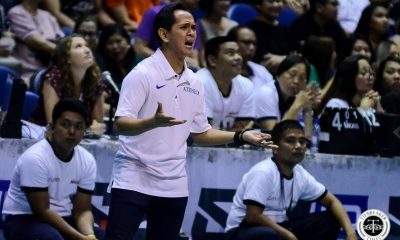 They really have to do more and be better that their best,” emphasized Almadro.